India is a vast country that is rich in history, beauty, diverse tradition and culture. Turban, Pagdi, Pheta, Jaapi kurakul, Gandhi topi are an integral part of our cultural asset. These headgears come in multiple designs and vibrant colours. They represent different regions, cultures and traditions with a common motto of respect, royalty, honour, pride, prestige and patriotism. Since ages, they are worn during festivals, weddings, cultural ceremonies etc. binding people together and spreading the message of peace, prosperity and progress. Our country has always been a land of mystics, philosophers and thinkers. We are privileged to have great thinkers like Chanakya, Adi Shankara, Swami Vivekananda, Mahatma Gandhi, Rabindranath Tagore, etc. Thinking is the greatest gift to the mankind and effective thinking is a skill which help us to become a successful leader. Edward de Bono’s “Six Thinking Hats” is a well-established tool to enhance the thinking process. These different colored ‘hats guide’ is a systematic method of thinking in a completely new and different way. This unique blend of two different concepts of ” Six Thinking Hats” and ” Cultural diversity” was showcased very cheerfully and vivaciously by the TMOD Hanumanth. 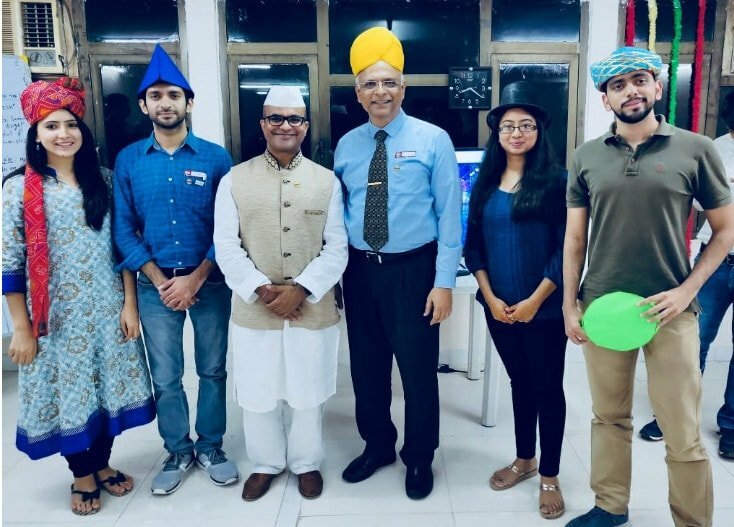 The way of presenting “Six Thinking Hats” using colorful origami hats and vibrant headgears to show the ” cultural diversity” was appreciated by all. TTM Arti did a fabulous job by spreading the message of multiculturalism by making our guests think and speak on the theme of the day. The TMOD wrapped up the meeting by co-relating the theme with the concept of becoming a toastmaster/ joining the club and left everyone mesmerized.